In his latest market analysis, Ehud Laniado claims that in June, the market was “characterized by more changes in demand than usual”, mainly because of the Las Vegas trade show, the small trade show in Hong Kong, seasonal changes, and finally, “preparations for the upcoming summer vacations in the diamond centers”. 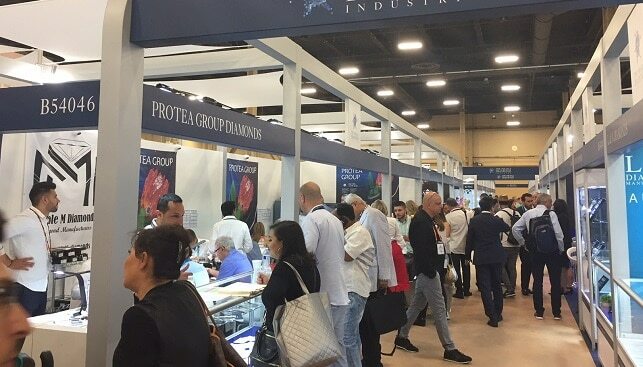 According to American diamond traders, the Las Vegas show was “successful despite the smaller number of participants – exhibitors and buyers alike”. According to them, demand for 1-carat and bigger rounds “was very good but demand for marquees shape and princess cuts was very weak”. Jewelry retailers are expressing cautious optimism for the rest of the year. They are keeping inventories as low as possible, “often attempting to have many items on memo, in particular large ovals – 5-7-carats”. Store owners, says Laniado, claim that there’s an interest “in fancy-shaped diamonds is mainly in 3-5-carst ovals in high colors, and clarities of VS or better”. However, there is a decline for smaller goods below 0.30-carats, in lower colors. Many Indian traders reported decent sells at Vegas, but were dismayed at the fewer buyers and exhibitors, and reported “buyers’ resistance to the relatively higher prices Indian exhibitors were trying to achieve”. According to Laniado, Indian traders are attempting to push up polished prices because of the rising cost of rough diamonds. According to Laniado, “the current outlook for the Indian diamond market is that demand for polished diamonds will gradually slow down during July”. 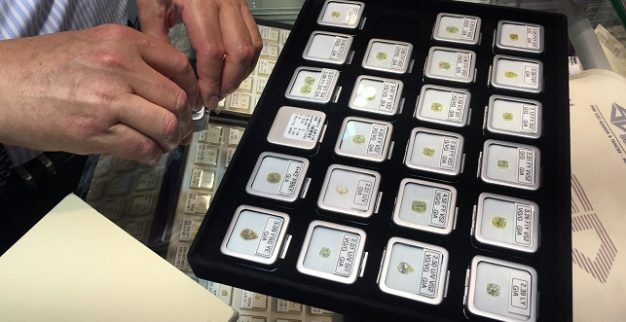 According to Israeli traders, much of the demand at the trade shows at Vegas and Hong Kong “was for large and pricy goods – higher color and clarity 3 carat and above goods”. Towards the end of the month, “market activity started to slow down, as it usually does in this period. This slowdown means lower demand and less availability as well”. According to Laniado, “because of the seasonal slowdown, much of the demand is very specific” – continued strong demand for pointers (0.01-carats) and ongoing strong demand for the 0.05-0.08-carat size rang. A decline in demand was seen for 10 pointers (0.08-0.14-carats). According to Laniado, “the Hong Kong diamond market is stable”. Local traders reported a good June Hong Kong Jewellery & Gem Fair. Hong Kong traders reported that “5-carat and larger goods in the lower JKL colors, in VS clarities and even nice SI are selling well, mainly to Indian buyers”. A rise in demand was also reported for round, 0.30-0.50-carat goods in D-G colors, VS-SI clarities.